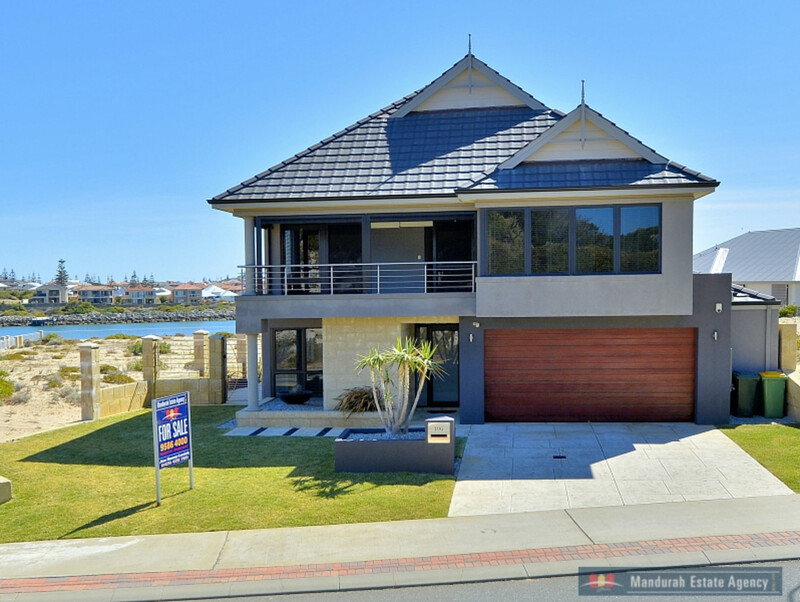 If you would like surf, sand, and sports to be a daily part of your lifestyle then this is the home for you. 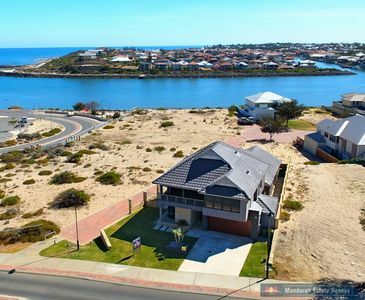 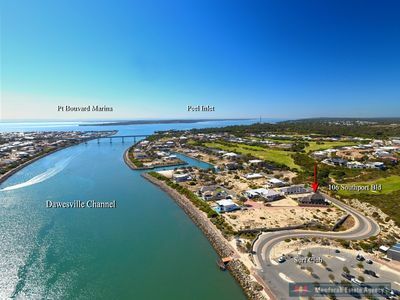 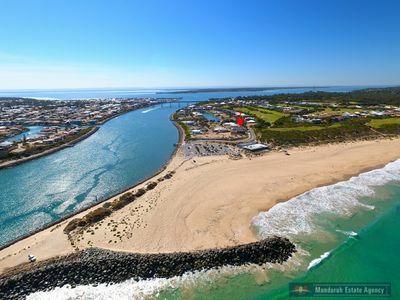 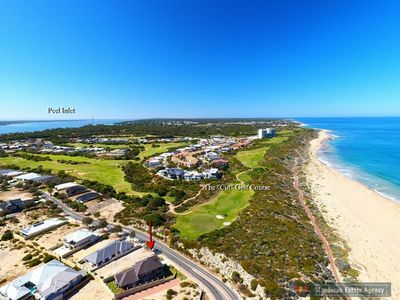 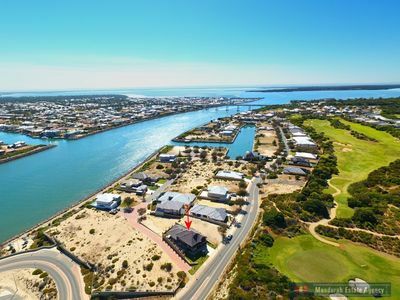 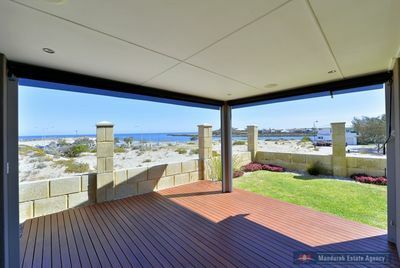 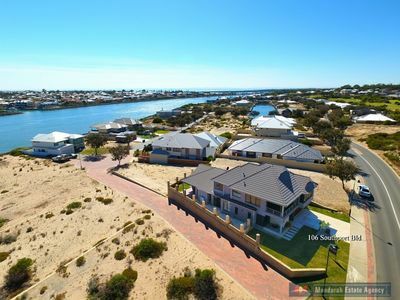 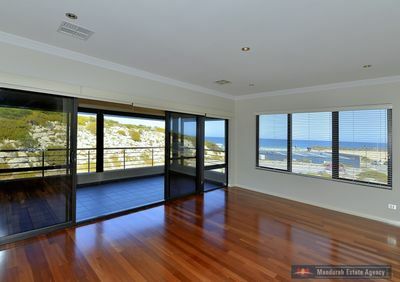 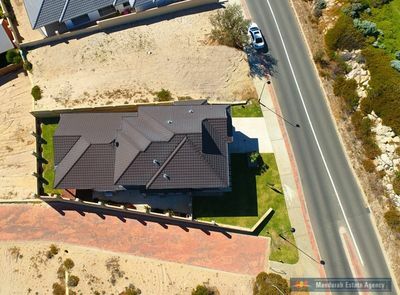 Proudly sitting high on Southport overlooking the Dawesville Channel, Indian Ocean and The Cut Golf Course this home is surrounded by water views and has immediate proximity to all that beachside living has to offer. A beautifully designed Webb and Brown-Neaves home ensures quality throughout and this home is no exception! 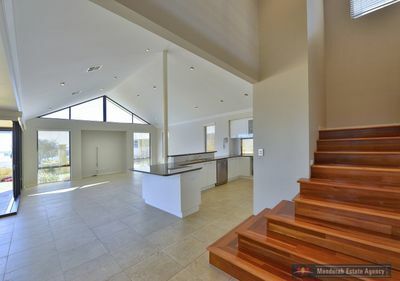 With polished timber flooring upstairs including the flared staircase and the superior stone tiling downstairs provides an expansive, classy basis for the open plan living areas. 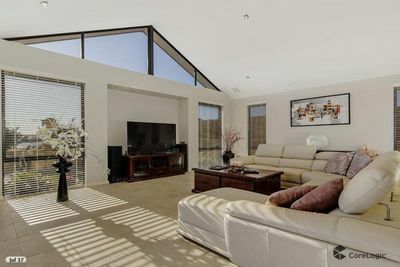 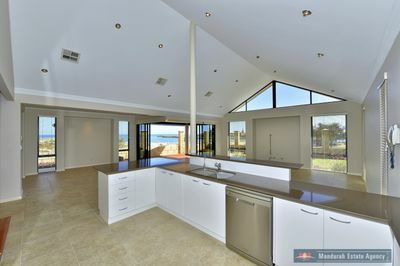 Vaulted ceilings in the living area with glass windows in the gabled peak, floor to ceiling slim-line windows and bi-folding glass doors sprawling out to the alfresco provides abundant sunlight and a warm ambience to the expansive lounge, dining and kitchen living space. 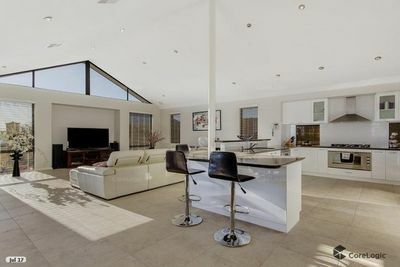 Entertaining will be a breeze with the large kitchen boasting 900m wide oven and gas cooktop, stainless steel appliances, ample storage and sleek polished benchtops. 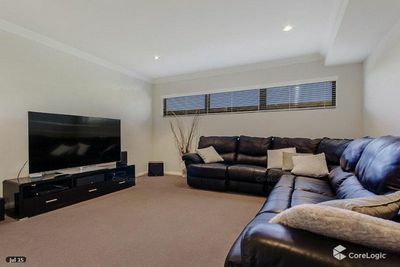 A feature recess wall provides a perfect nook for a large TV in the lounge area and a matching feature recess in the dining area affords room for a creative storage or display area. 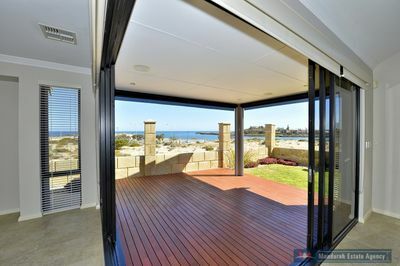 The decked alfresco with views towards the Indian Ocean is perfect for BBQ’s or Sunset drinks with family and friends. 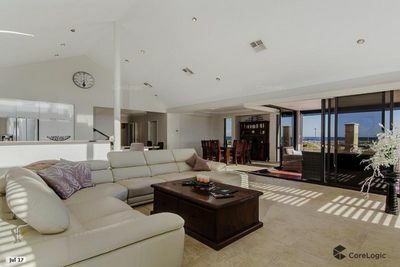 Upstairs offers a huge entertaining/games/lounge area that leads through sliding glass doors to the balcony with ocean views. 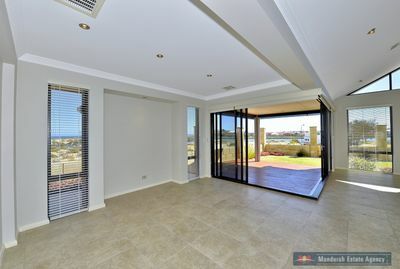 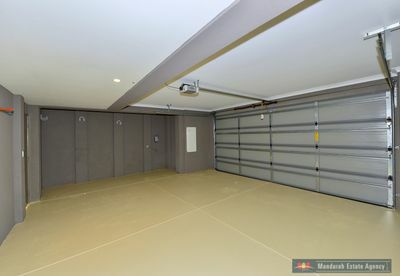 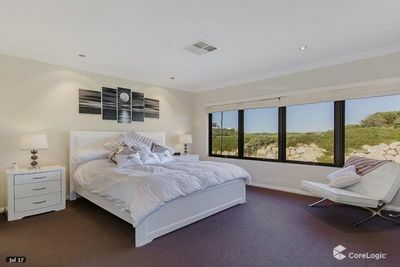 Surrounding this space are generous bedrooms all with BIRs. 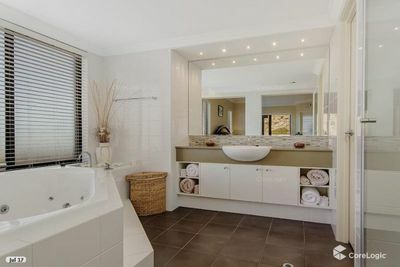 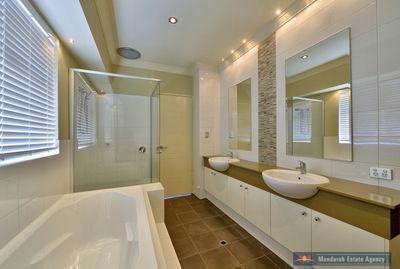 The master boasting WIR, ensuite with bath and dual vanity, and private access to balcony. 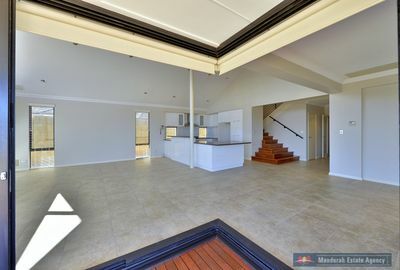 Downstairs in addition to the large entry hall, double French doors and open plan living, also offers a large guest master bedroom with spa bath and a Private theatre room. 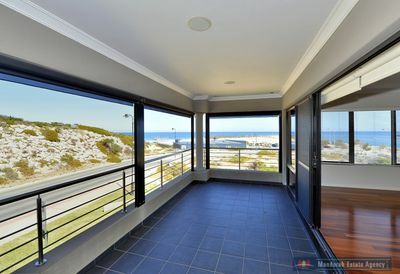 If you would like a private viewing and get a true feel for the beachside living opportunities this property has to offer then call Exclusive Agent, Jon Kenny-Levick now!